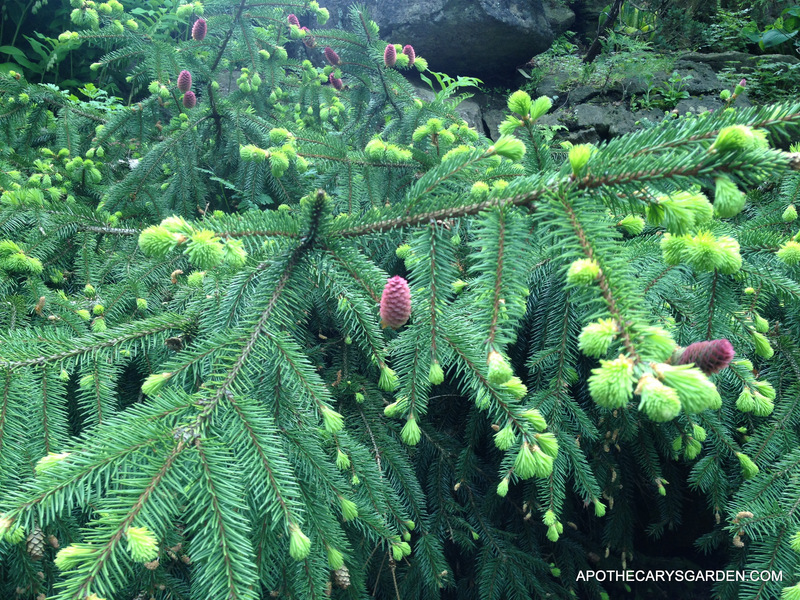 A Recipe for Spruce oil, a fragrant, medicinal cough and chest rub. Tree oleoresins and oleogumresins are full of healing phytochemicals, often discarded in favour of their more well-known and popular essential oils. Our own Spruce, Pine and Fir saps have been used for thousands of years for their healing effects on our respiratory and musculoskeletal systems. They are usually readily available and easy to extract and use. They provide healing for the young and old and our animals. Saps from our local Canadian trees are a wonderful, fragrant sustainable and renewable medicinal resource. They bring fragrance into our lives as medicine or when burned as incense. The essential oils of our evergreens, though used in great volume and purchased inexpensively, hold only a portion of the fragrance and the healing properties of these saps. I believe there is a “Synergy” that can only be utilized when the sap is put to use in a way that maintains its natural integrity and wholeness, I consider this a holistic approach, and holistic medicine. For more information please refer to the post, “Make a wonderful winter chest rub-from Spruce sap” . 300 to 600 millilitres of Cold Pressed Extra Virgin Olive oil. You can use any oil of your choice. 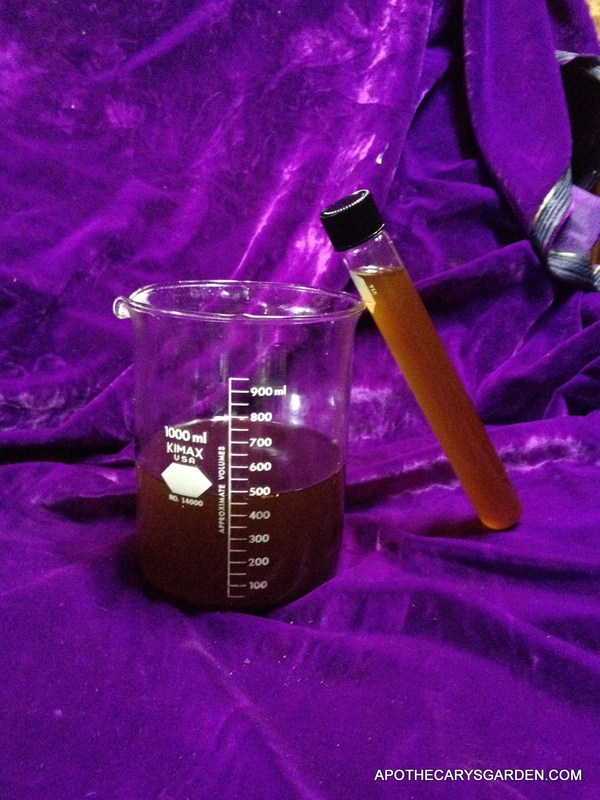 In general a ratio of 1:1 to 1:2 sap to oil works well. In a water bath, (See “A Solid Mustache Wax Recipe” for instructions on making and using a water-bath), combine oil and oleoresins in a container that holds double the volume of the products. Leave in the simmering water bath for an hour at least, longer if using old, dry or hard material. Stir and break down the oleoresins periodically. Using a large mason jar works well. This way you can keep a lid on it when you are not stirring, I believe this will help keep more of the essential oils since the heat will make some of the volatile oils fly out of the oleoresin. After an hour or so, when you think the oleoresins have broken up as much as they will, and when it seems the oil and resin are homogeneously mixed. Put the lid on tight, turn off the heat and let cool to room temperature. Take a clean, washed pillowcase, you may have to rinse it well with hot water and re-dry it so there is no residual odor of laundry detergent or any other aroma. Lay the open, (dry), pillowcase in a bowl, corner at the bottom, and pour the contents of the jar into the corner of the pillowcase. Scrape out as much of the jar contents as you can. Collect the sides of the pillowcase, (keeping unneeded parts of the pillowcase from being saturated with oil), and twist it so the mixture starts filtering out of the pillowcase corner into the bowl. Squeeze as much as you can by hand, twist it as if wringing out a towel to dry, then if you have one, cram the pillowcase into a herb press, and press out the rest of the liquid. that works effectively “as is” rubbed on the chest and/or the back, for respiratory issues, coughs, colds, congestion, bronchitis, asthma, etc. OR,you can use it “as is” for stiff, sore muscles, joint pains, sprains and other muscle & joint issues. Fresh Frankincense oil extracted from Boswellia Neglecta, using the same methods as described above for Pine, Spruce and Fir saps. 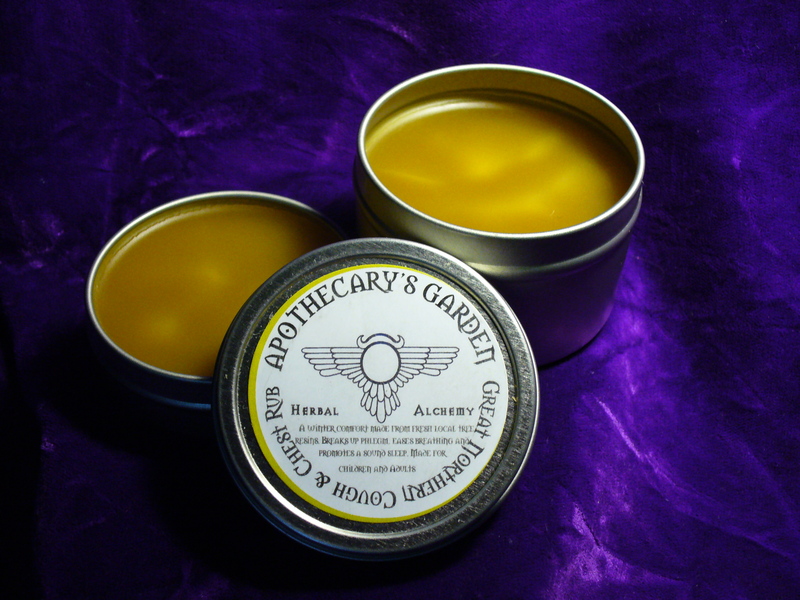 My Great Northern Cough & Chest Balm. Uses this oil as a base for a wonderful, effective and pleasant chest rub. Remember to always take notes so you can duplicate your results. I am thrilled and inspired by your praise and knowledge of the pine, spruce and fir trees! I am making infused oil today for winter projects 🙂 with sap and resin I have been collecting on my forays for food and medicine this summer. I have been making infused oils with wild stuff for years to use in my cleansing and facial oils, face mane taming oils and waxes, salves, soap, etc. Cottonwood bud, Alder catkin, pine/spruce/fir, rose petals, plantago leaves, cranes bill, yarrow, arnica are a few of my favs. I am so inspired to learn more about my majestic mountain companions! I endeavor to learn more about the deeper healing properties and the connections these plants have to each other and really appreciated you sharing your skills and knowledge! Thank you Valerie! I wish you continued inspiration on your path and if you have any questions along the way please let me know.